The forth letter in the personality type acronym corresponds to a person’s preference within the judging-perceiving pair: “J” for judging and “P” for perception. What do percentages next to the personality type words or letters mean? People may reveal features of both poles but typically have a preference of one way over the other. The letter indicates the preference and the percentage indicates the extent of it. The E-I score of 0% means the respondent is at the borderline between being an extravert and an introvert. Having Extraversion score of greater than 0 - e.g. 20% - means being 20% more slanted toward Extraversion over Introversion. Having Introversion score of greater than 0 - e.g. 20% - means being 20% more slanted toward Introversion over Extraversion. The same pertains to the S-N, T-F, and J-P dichotomies. 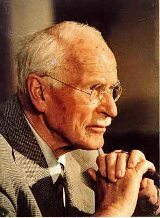 He called sensing and intuitive types “irrational” because they are characterized by dominance of the functions of perception (either sensing or intuition), and therefore their “commissions and omissions are based not upon reasoned judgment but upon the absolute intensity of perception” [Jung, 1971]. “Irrational” or Perceiving preference operates with opportunities, i.e. with a range of possible outcomes that result from assumed premises or from sensations, mostly driven by the unconscious processes. People with dominant "irrational" or Perceiving preference see the world as a structure that can take various forms and outcomes. It is possible to determine, either by observation or by asking certain questions, preference of Judging vs. Perceiving and the strength thereof in a person.